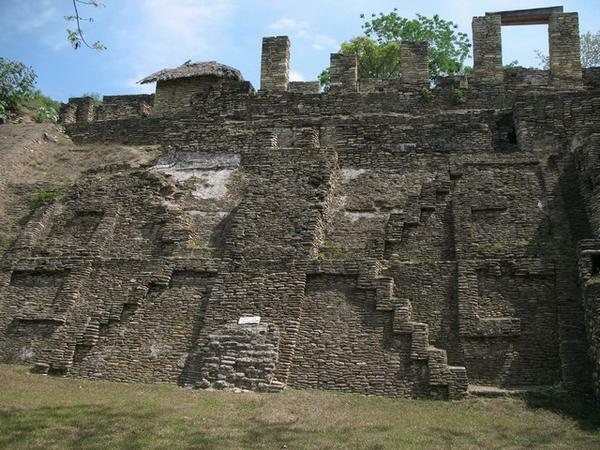 Palacio de las Grecas Mitla Mexico. The two huge delphic antithetic epsilon's. 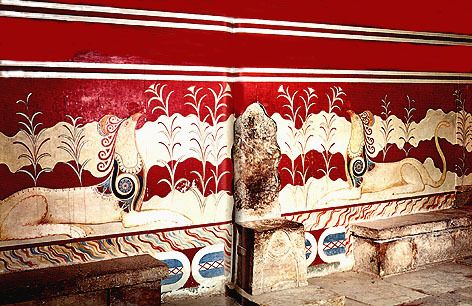 Knossos the throne room. The two antithetic epsilon. 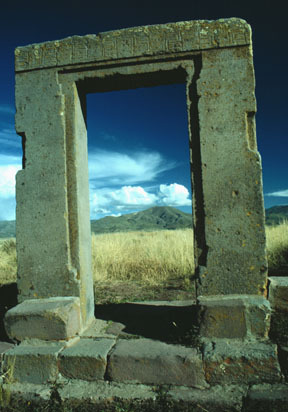 Tiwanaku an Incas doorway. Bolivia. 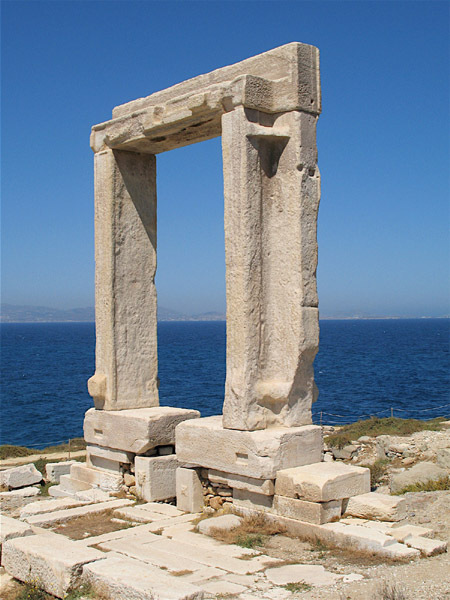 Naxos Portara an archaic doorway. 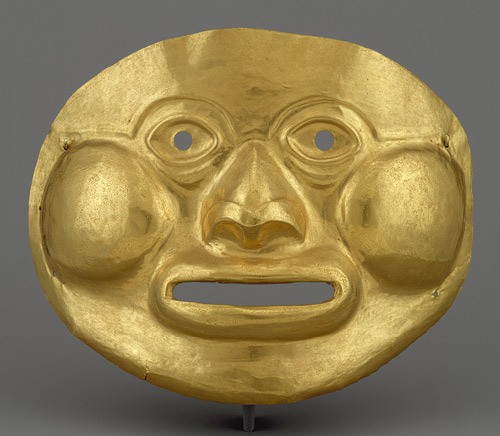 Gold death mask from Colombia. 1st cent. BC. 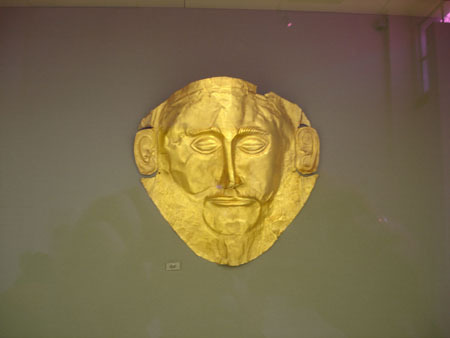 The Agamemnon's gold death mask. 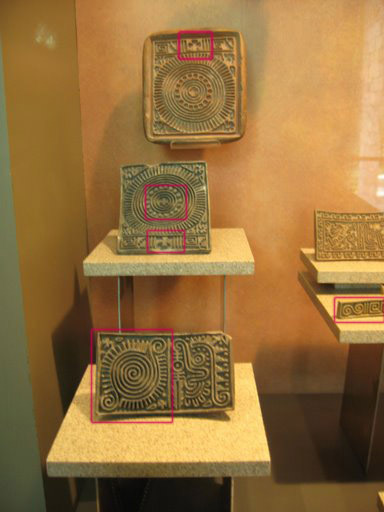 Mexico anthropology museum clay tablets. The signs of crosses and spirals are depicted. Attic red figure vase. Again crosses, meanders, greek keys, spirals. 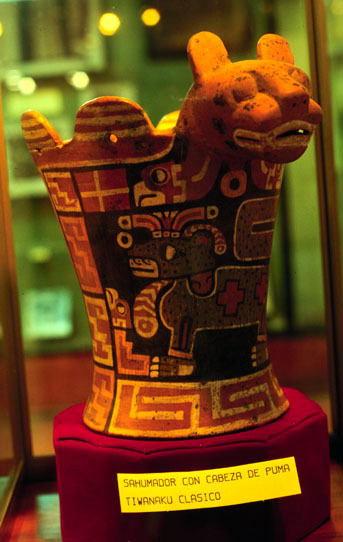 Pottery from Bolivia Tiwanaku. A greek key - meander in the base. The same exactly meander from a temple's relief . Corfu. 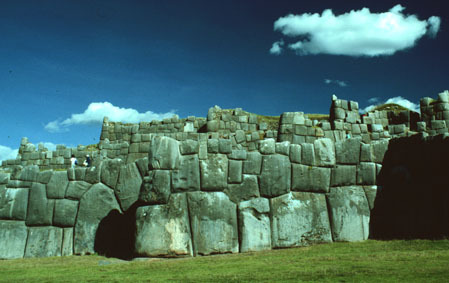 Cyclopean polygonal masonry of the lower terrace on the plaza side of Saxsayhuaman Peru. 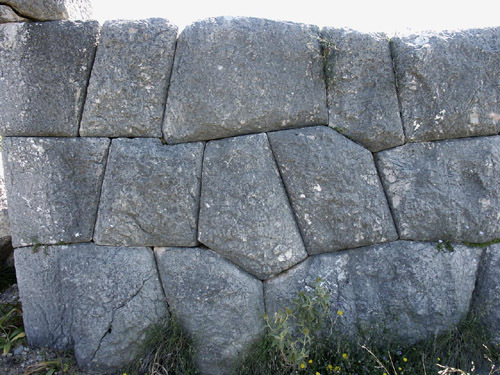 Cyclopean wall precision fitting Paleo Kastro Agios Adrianos, Argos Peloponesse.